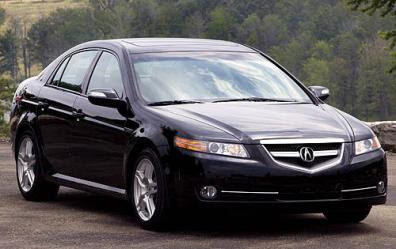 Honda Motor Co. issued two separate recalls for its Acura TL sedan to address potential fires under the hood and fix problems with the windshield wiper motor. Honda is recalling 273,000 2004-2008 TLs because prolonged high temperatures underneath the engine hood could cause the power steering hose to deteriorate, causing the hose to crack and leak power steering fluid. The fluid could leak onto a hot catalytic converter and lead to smoke and a possible fire. Acura spokesman said there had been no fires or injuries reported. Dealers will install a new heat-resistant power steering hose free of charge. In the second action, Honda is recalling 129,600 TLs from the 2004-05 model year to address a potential failure of the circuit breaker inside the windshield wiper motor. If the circuit breaker fails, it could prevent the wiper from working and increase the likelihood of a crash. There also have been no reports of crashes or injuries tied to the windshield wiper issue. Dealers will inspect the windshield wiper motor and replace the motor if they find signs of corrosion.